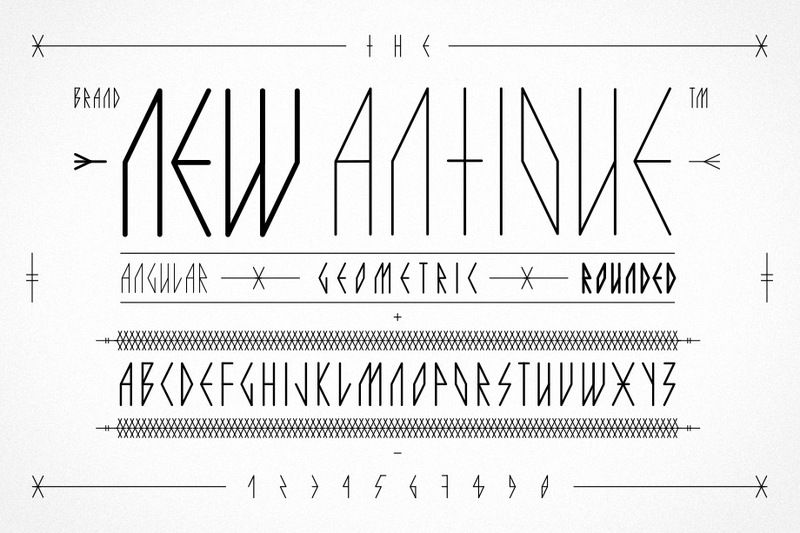 A typeface based on a geometric and angular grid. Reminiscent of edged antique stone engravings — but rounded strokes and strict diagonal lines give it a modern approach. No horizontal stroke is touching the baseline, reinforcing the ascending and narrow character.